We offer quality “tours to Iran” by the Persopolis Travel You will be provided with Iran information tips like travel advice, detailed tour itineraries, etc. Like many others, you can select one of these packages and make a trip to Iran. Also, we’re here to customize them according to your special interests. 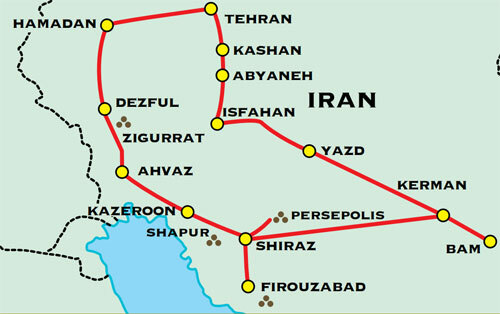 Persopolis Travel is well-known for “Customized Tours to Iran”. Our private packages are the most demanded travel plans inquired by potential travelers. If you plan your trip to Iran and only need to book hotel rooms in Iran, we help you do that! Our services are: visa, accommodation, transfer and transportation, tour guides, domestic flight tickets, etc. See the largest ziggurat (pyramid) in Mesopotamia at Choqa Zanbil. Encounter the warmth and friendliness of the Iranian people.